I love seeing things in person that I feel are things that can be dubbed as “you only see in books.” I think that’s part of why I love traveling so much. I love to go places and actually see these things in person to know what it’s all about, opposed to just turning the pages in anoth er book. One of the greatest kicks I’ve had in traveling though was when I was at Saqqara in Egypt with my friend Brian. To explain, I read at least one book about the history of a country I’m visiting before I actually go there. I believe it helps me better understand and appreciate where I’m going as opposed to just popping in to see a couple of things that I really won’t understand, and then flying back home again with some snap shots. Well, when I’m out and about, I generally bring that history book with, especially if I think it’ll come in handy while I’m exploring. And in one particular instance, it really did. Anyway, Brian and I were in Egypt for our first full day and we hired a cab driver to take us around to see some of the major sites. He took us in a backward pattern so we’d avoid all the tour buses and thus, hopefully, have the places to ourselves. 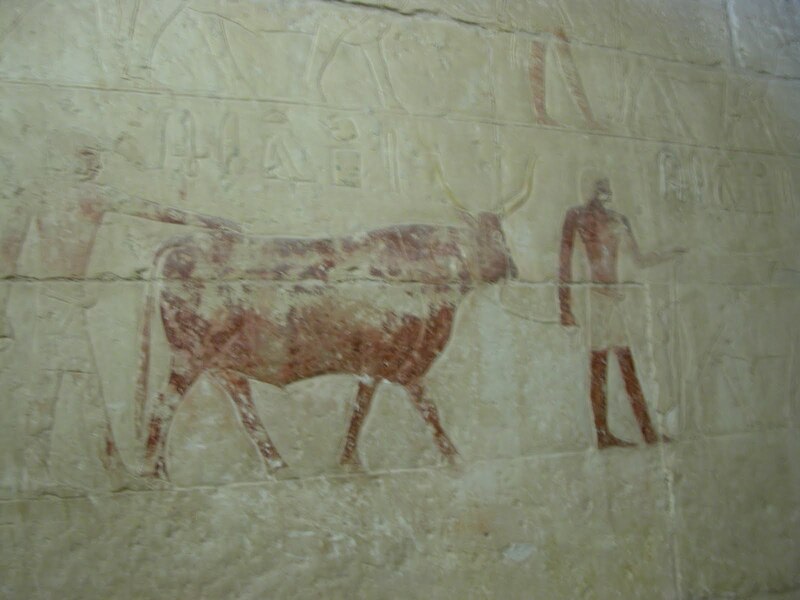 This was a pretty successful strategy we agreed while we were at Saqqara, our first stop on the tour. The place was empty and we were all alone, exploring the ancient necropolis that surrounds King Djoser’s mastaba step pyramid. As we walked through the entrance and around the corner to where the city of the dead would’ve been, I recognized the place. I knew I had seen these buildings in the book I read, so I yanked it out of my backpack. And, sure enough, when I flipped it open there the place was. The irony made me laugh as I was there seeing something in person that I would only, and had only, seen in a book as I was actually looking at it in a book at the same time. 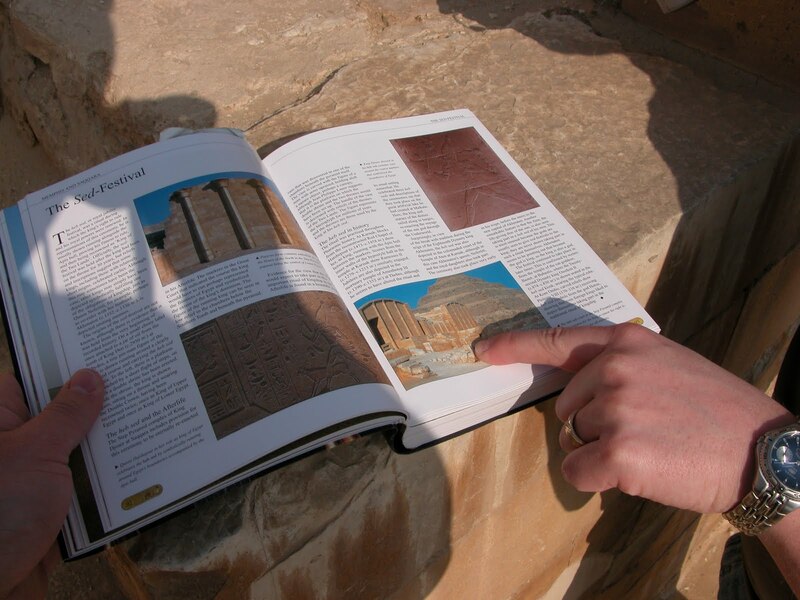 We stopped a moment and read the book to find out a bit about who King Djoser was as there weren’t any signs posted around the find. It was a great tool to have and one that made me chuckle a few more times and we used it as a guidebook for one of the best stops we had anywhere in Egypt. There were very few people begging for baksheesh (tips) and virtually no other tourists, thanks to our cabby, that we saw until we were pulling away and saw sever al large buses driving in. 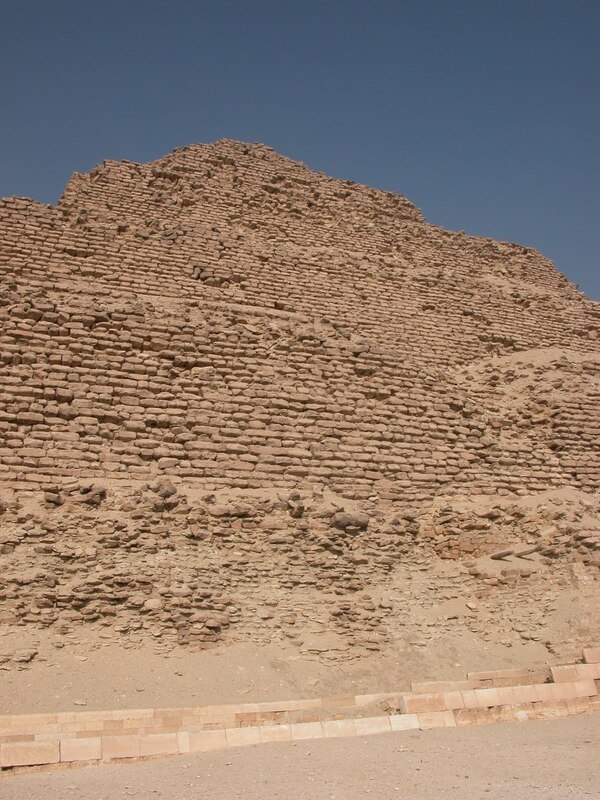 Our visit to Saqqara was really one that I loved as it’s something I always believed “you only see in books.” Although, in truth, I really had no idea what it was until I cracked open that book and read about it. 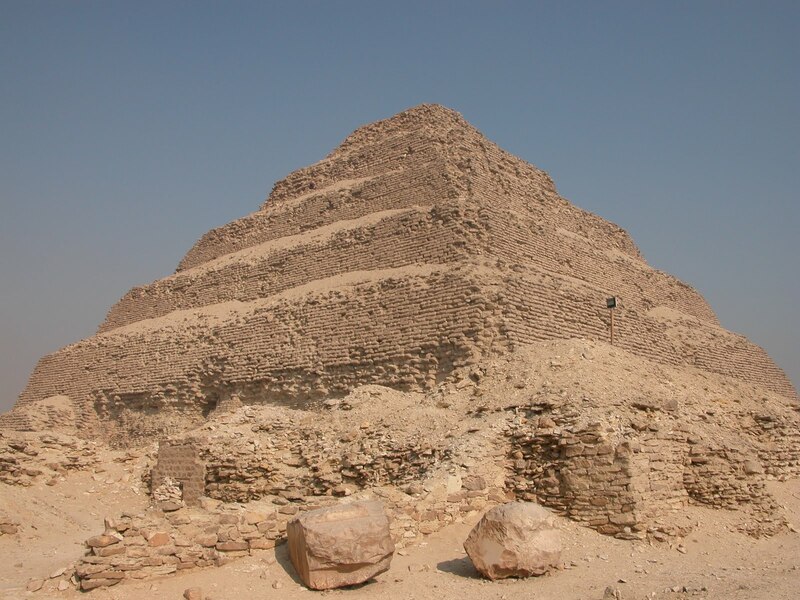 I never knew much about Egypt beyond the Valley of the Kings, the Pyramids and the Cairo Museum. I sure was happy to read about it though as I stood there at the very location. I was all alone at the step pyramid too. I loved it. Shame about the scaffolding when I was there though.